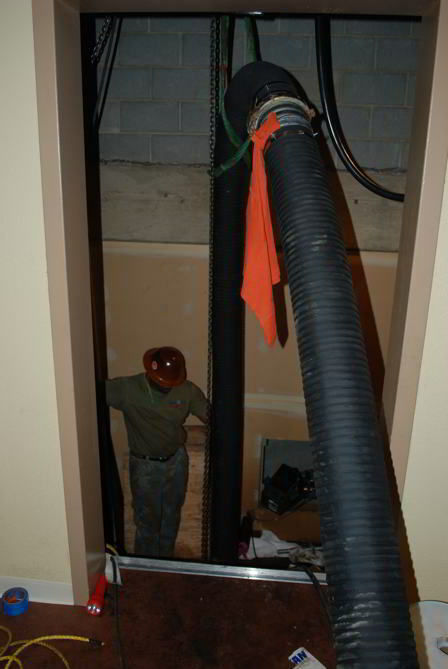 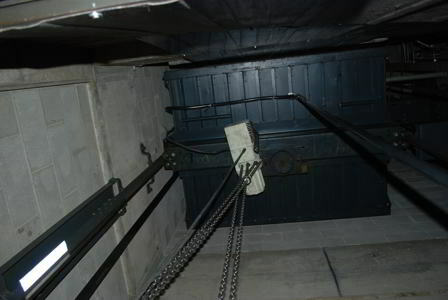 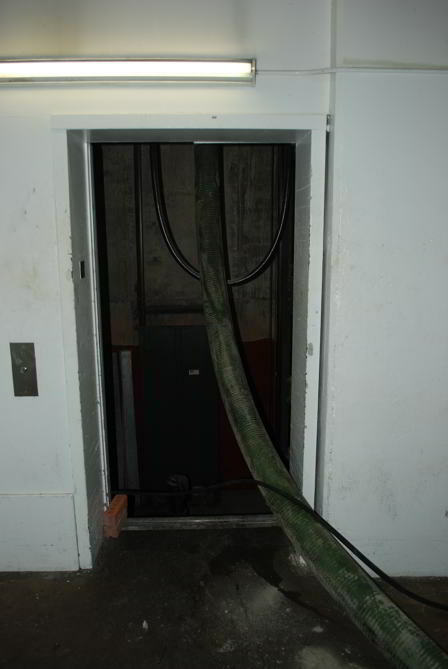 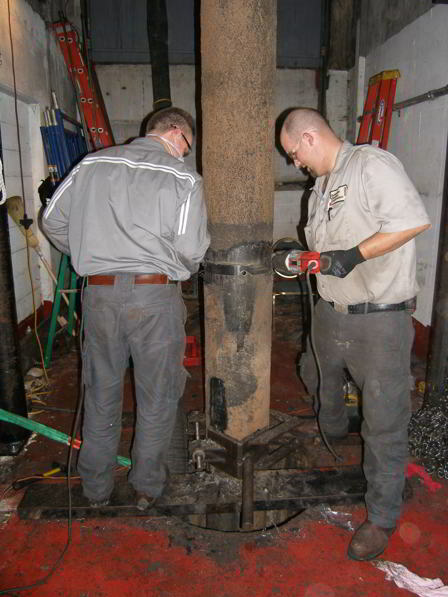 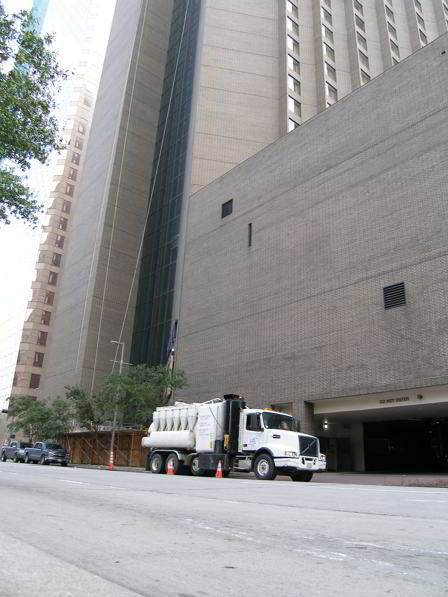 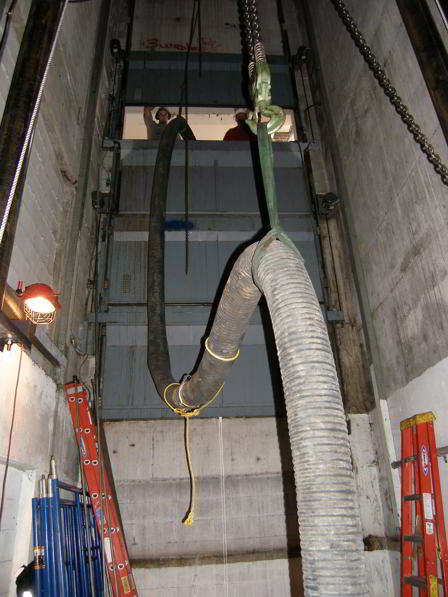 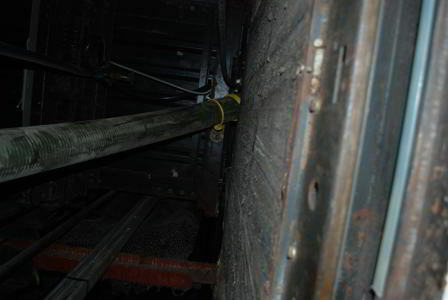 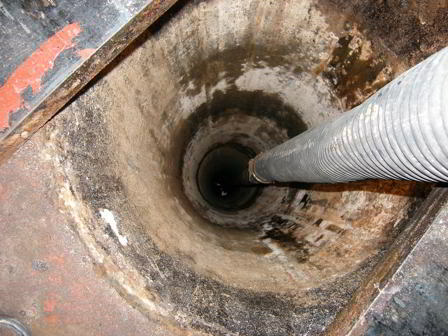 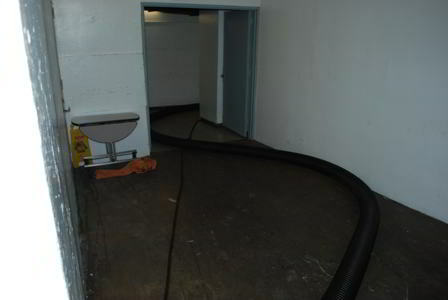 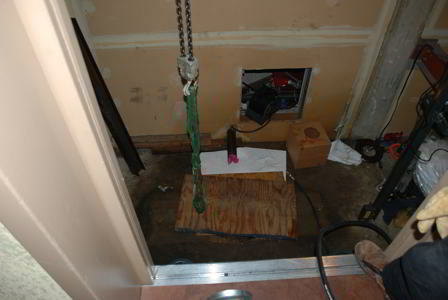 Vacuum Excavation support for ELEVATOR SHAFT REPAIRS involves the use of pressurized water in combination with a powerful vacuum system to loosen and remove the soil around damaged elevator jacks to facilitate contractors during the extraction and repair process. 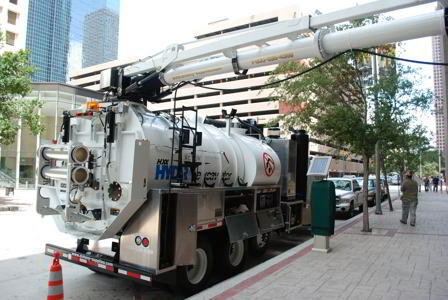 Every elevator jack extraction is different, but the process always starts with our hydro excavation unit parked at a remote location. 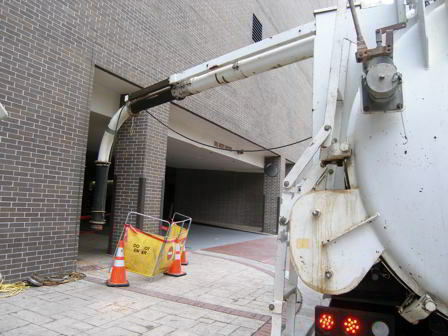 More than 800′ of industrial vacuum and water hose extends from the mechanical arm of the truck’s 5300 cfm vacuum system. 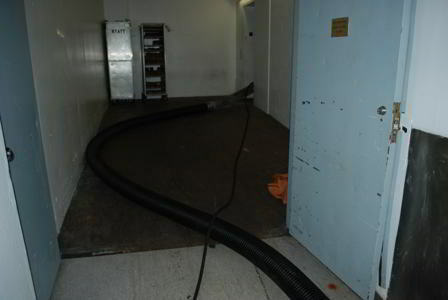 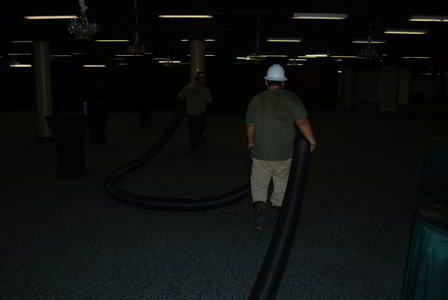 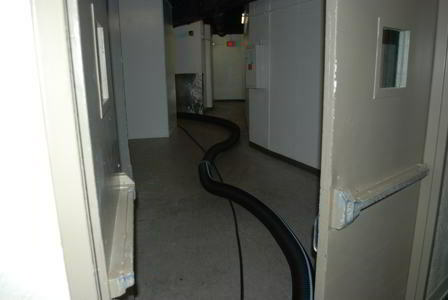 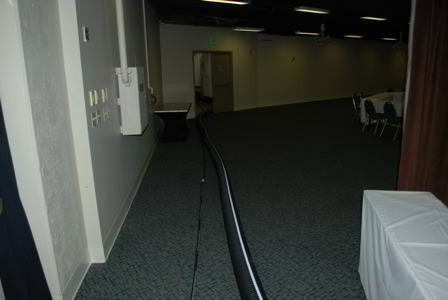 The hose is often wound through corridors, down elevator passageways, through a labyrinth of large conference rooms and convention halls, around multiple corners and down flights of stairs to the repair area. 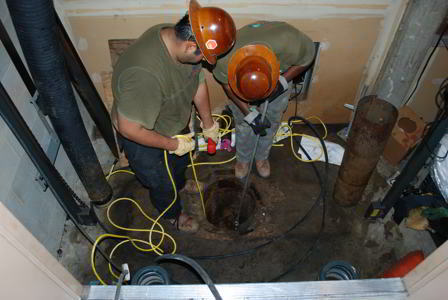 This type of setup requires at least three personnel trained at hydro excavation. 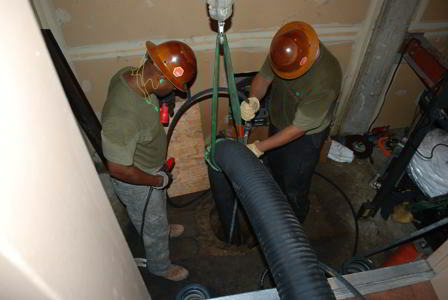 One person operates the equipment, engaging and disengaging the hydraulic PTO’s that govern the vacuum and hydro systems. 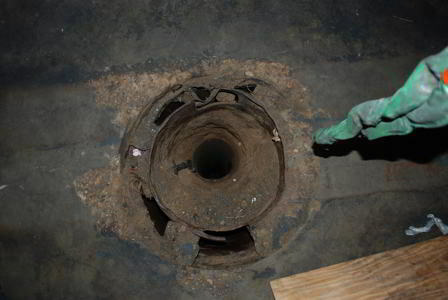 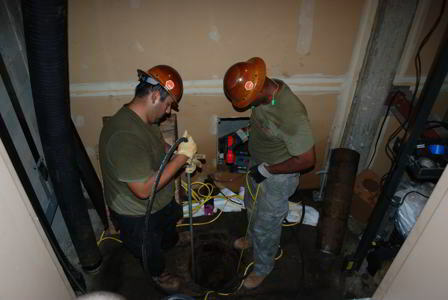 The other technicians perform the actual excavation work inside the elevator chamber, working harmoniously to soften and excavate the soil around the damaged shaft. 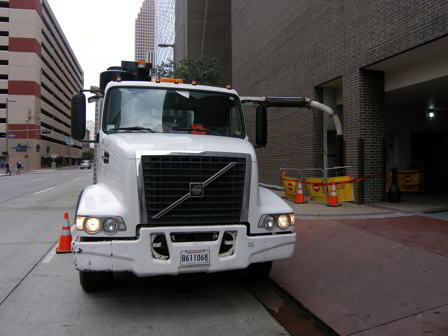 Walkie talkies facilitate communication between the equipment operator and the technicians throughout the entire process. 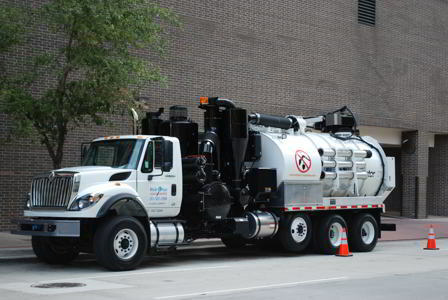 If everything goes well, the hydro excavation process is completed in about 45 minutes. 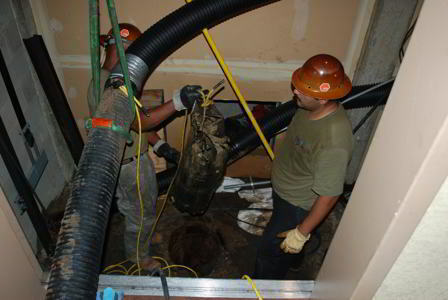 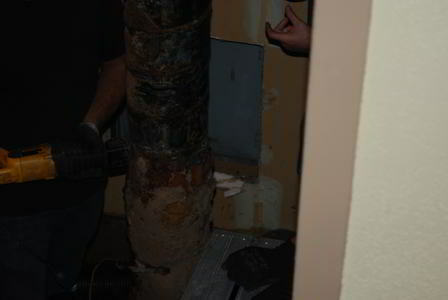 In some instances, however, hydro excavating reveals a clutter of debris (i.e. 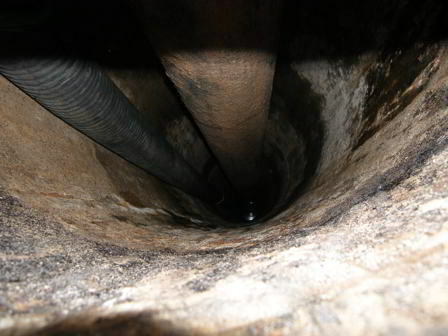 wood, bricks, rocks) in the shaft around the jack. 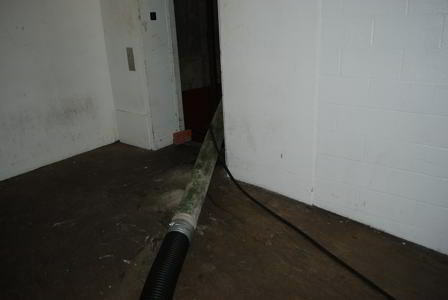 The debris will have to be removed, often by lasso. 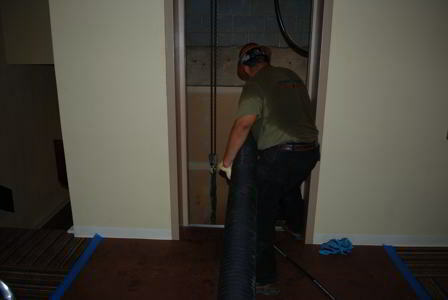 Depending on the size and depth of the shaft, as well as the type of debris clogging it, this part of the job can take quite a bit of time. 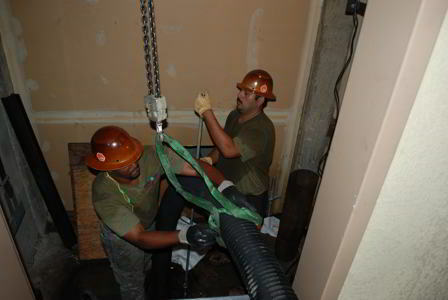 The hydro excavation process can also be utilized to excavate 20 to 30 ft deep elevator shaft holes during the early stages of a construction process, prior to any concrete work. 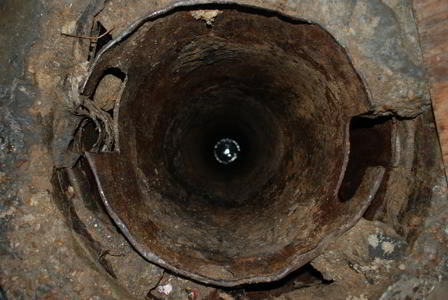 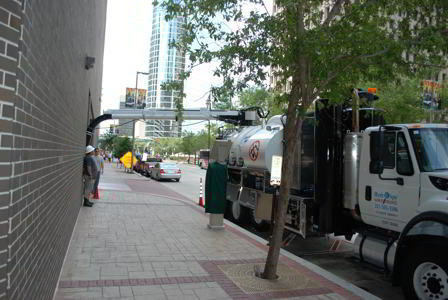 Hydro excavation is a recommended practice when there are concerns about underground utilities.